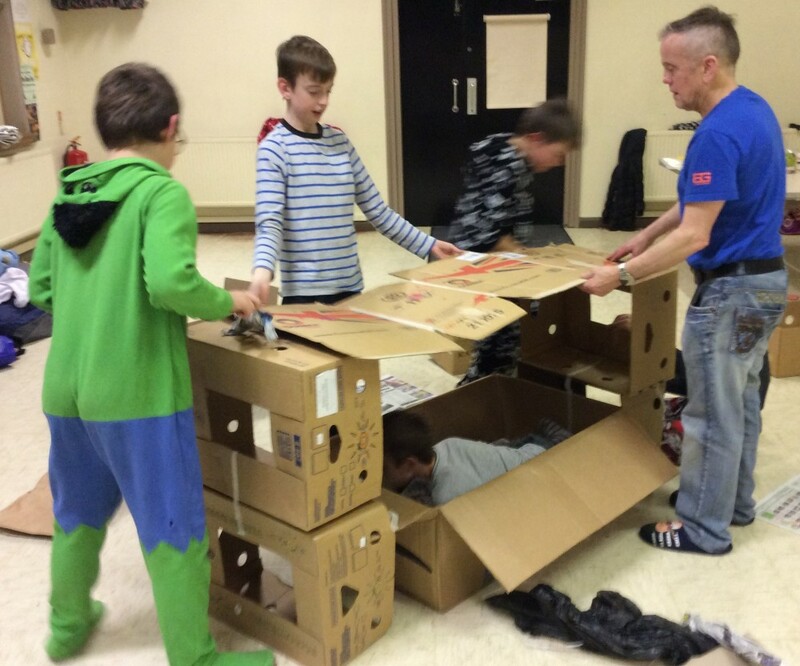 11 young people and 5 adults from cubs and scouts and Holy Trinity Church took part in a sponsored Sleepout Challenge in aid of Church Urban Fund on Friday 27th November, in the church hall. A stable was built on the stage to remind us how Jesus had begun his life homeless, and then also became a refugee. We made our own shelters out of cardboard and newspaper, and also made Christmas decorations with salt dough. We also had time of quiet reflection and prayer thinking about people in need because they are homeless. 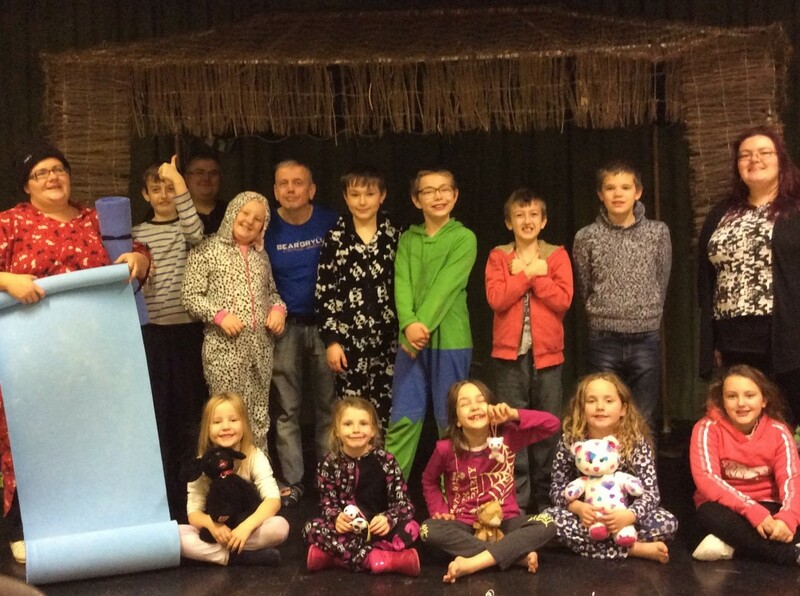 We had a lot of fun, and the children slept well even though the adults didn’t! Sponsorship money is still coming in, but so far we have received £200 for Church Urban Fund – THANK YOU to everyone who sponsored us!